If you have been following my blog, you know that I have been (very slowly) processing images from my trip to Italy in June. So far, I have processed and uploaded many images from Venice, Tuscany, and a few from the Amalfi Coast. I have many more to review and process from Positano, Pompeii, Capri, and Rome. Tonight, I am jumping ahead to Rome, which was the last city visited, but only briefly because I will return to the images from the Amalfi Coast tomorrow. While in Rome, I saw and photographed the usual places tourists visit such as the Coliseum and other Roman ruins, several incredible cathedrals, the famous fountains and squares, etc. 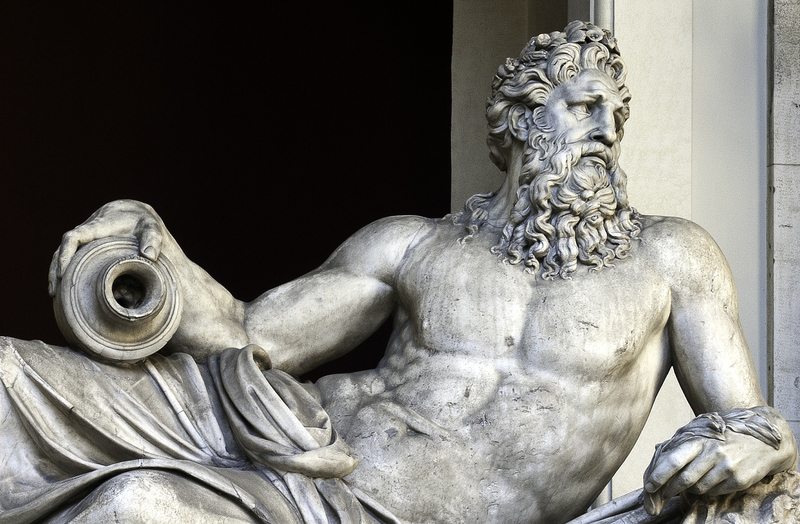 Instead of focusing on images of such places, this evening I processed a few images from the Vatican Museum and only one of the many sculptures I photographed while there. 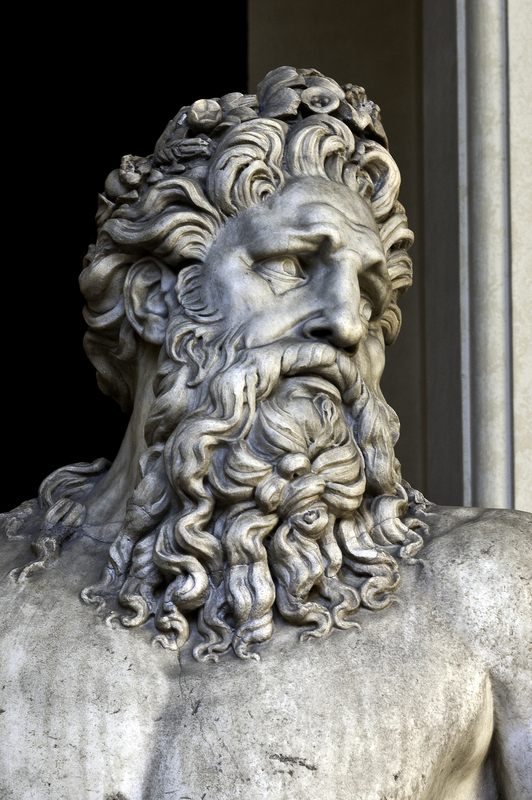 Below is the sculpture titled “River Tiber” in the Vatican Museum. 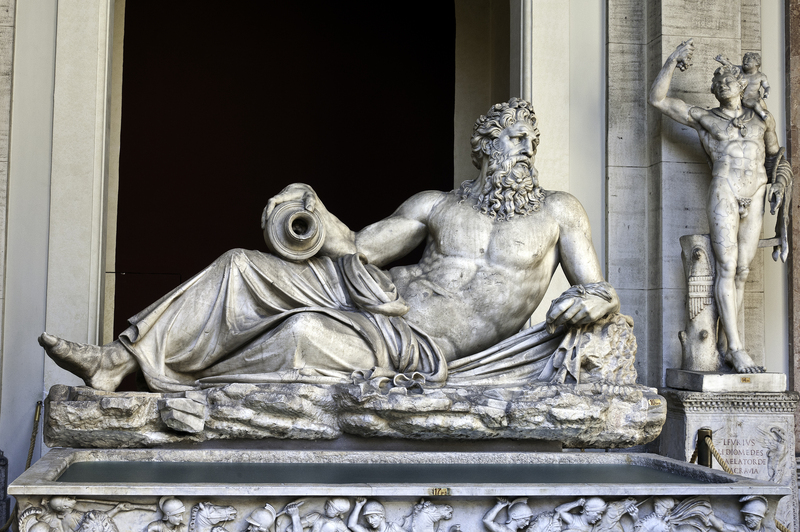 It is an Imperial Roman period sculpture of a river god reclining with a jug on rocks near a stream. Other than the very life-like details of the sculpture, the face in the jug caught my attention. I have many more images from inside the Vatican Museum that I will process at a later time. 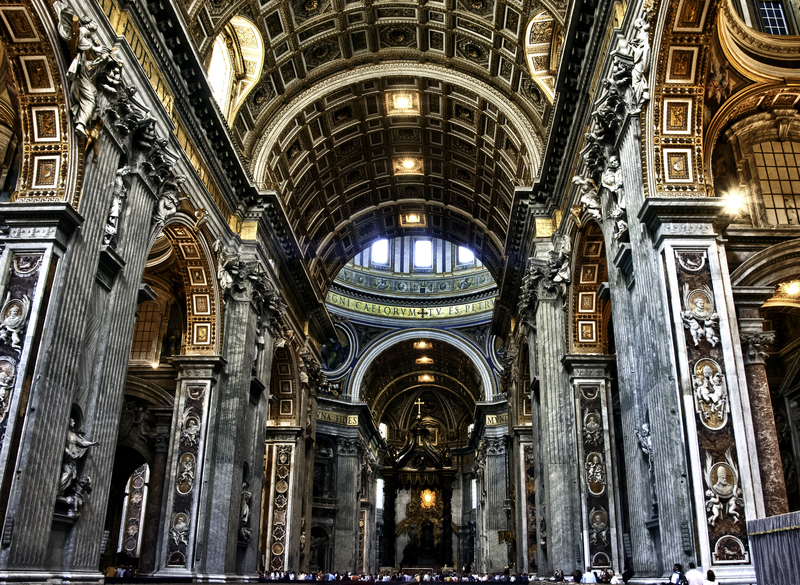 While reviewing my images from the Vatican, I could not help but stop, look at, and then process the below image of the inside of St. Peter’s Basilica. For those interested in photography, it was dark and dimly lit in the Basilica. I could not use a tripod or flash. So, in order to make this image, I shot (bracketed) three hand-held images at different exposures using a high ISO of 6400. When processing the images this evening, I merged and tone mapped the three images creating a single HDR (High Dynamic Range) image. The HDR process brings out details in the shadows while maintaining details in the brightly lit areas, like around the windows. Yes, those are people at the bottom of this image. If you have been following my blog, you probably have noticed that most of my images do not contain people. However, there are times when it is useful to have them in the image, such as below, to give a sense of scale or size to what is being photographed. Then of course, there are times when it is impossible to capture an image without people in it, because they are everywhere, as was the case in much of Italy (except when I was shooting at 5:30 AM). I have many other images from inside the Basilica and will eventually process them too. Part of the joy of photography is post processing and making the images, reliving the moment when the images were shot, and of course sharing them with others, and I have a lot more from Italy to share. This entry was posted in Italy and tagged Italy. Bookmark the permalink. 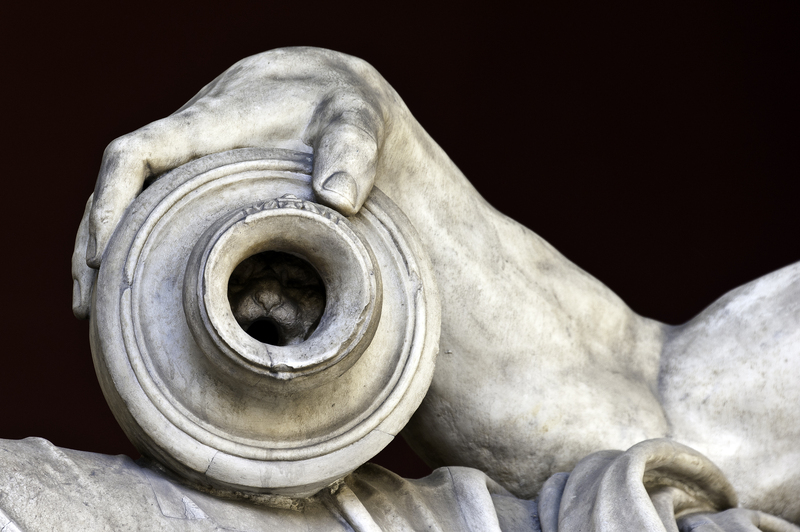 You have an amazing eye for detail and finding that face in the jug is proof! The basilica is so beautiful and having the people at the bottom (for scale) just shows its majesty. You did a great job with this photo as I know how dark the inside of a church can be and how lousy my photos usually are of them. I never got inside St. Peter’s and I can see that I missed an amazing church. Can’t wait to see others and now have another reason to go back to Italy.